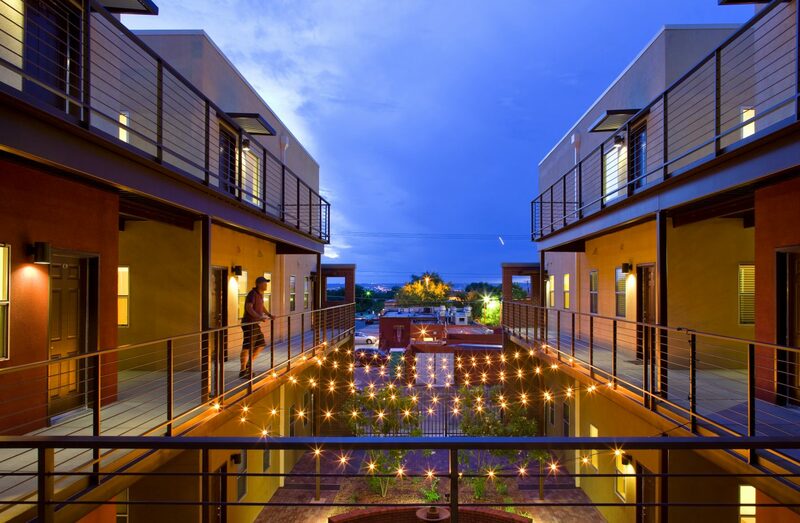 In the dense University area of Albuquerque, collaboration between land owner, architect, contractor and neighborhood association gave rise to an energetic mixed-use development. 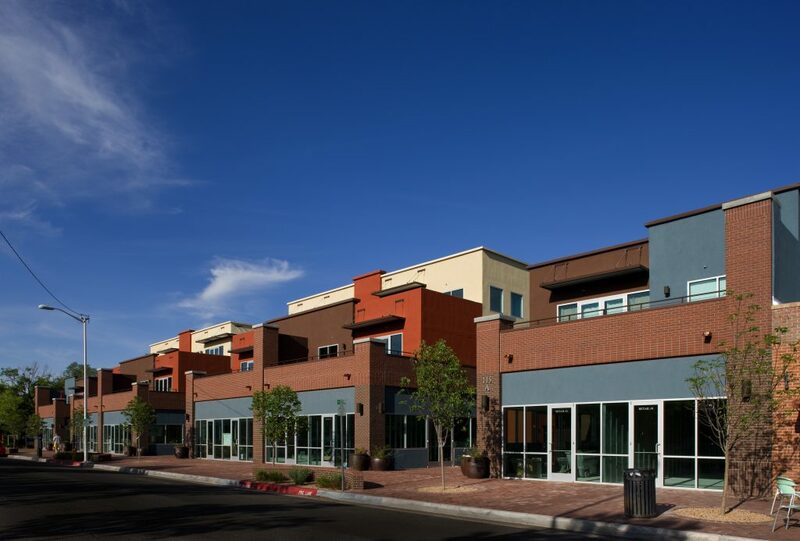 The 45,000-square-foot Bricklight Courtyards is an infill development with retail spaces at the street level. Above, the buildings step back as they increase in height, with 46 apartments distributed across four buildings, and courtyards between each. 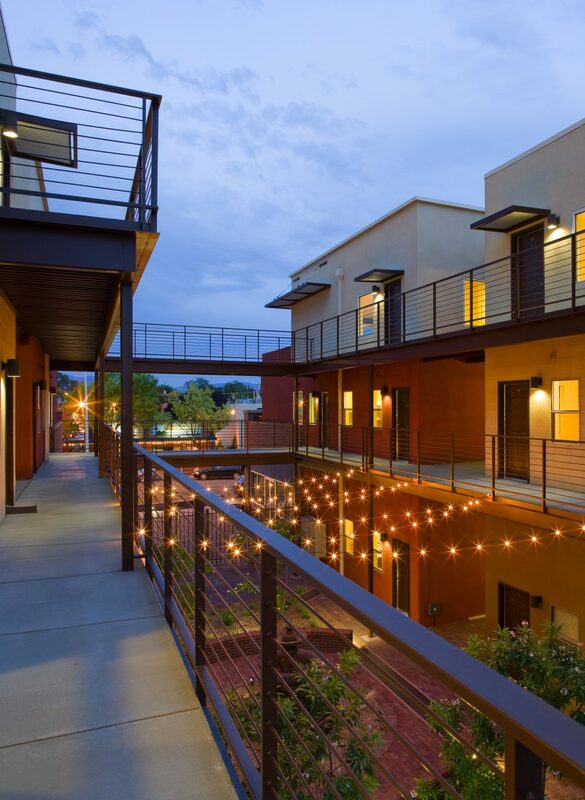 The courtyards provide a secure entry to each apartment and a direct connection to the pedestrian activity along the street. 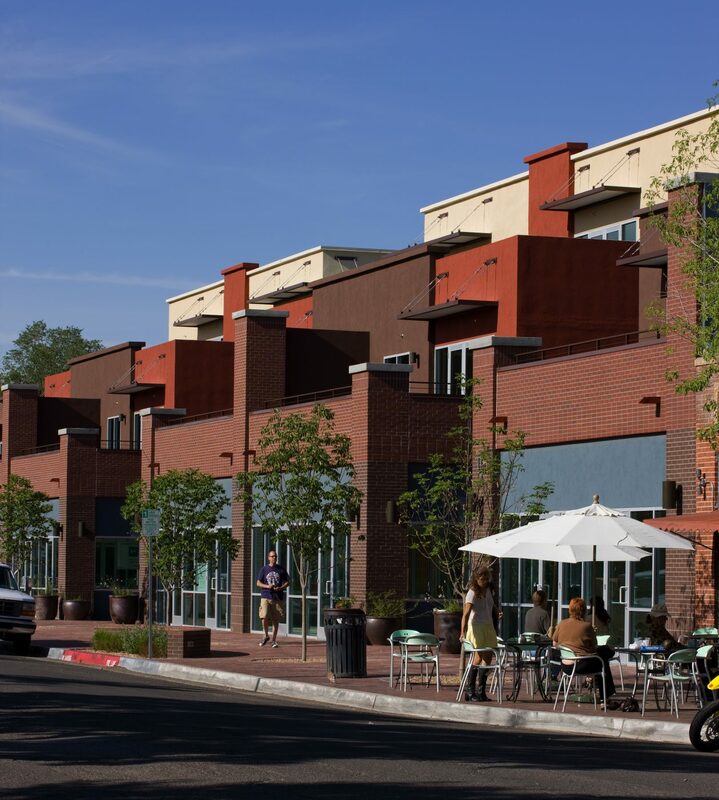 With a density of nearly 60 dwelling units per acre, the Bricklight Courtyards epitomize the potential for mixed-use developments in cities. A coffee shop, restaurant, hair salon and retail spaces occupy the first floor. 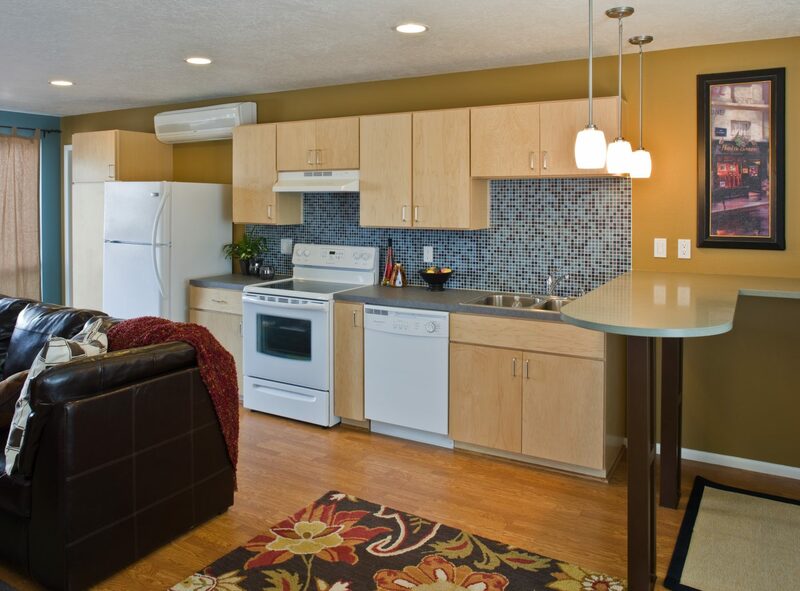 Amenities within the apartments, such as open floor plans, balconies and kitchen bar tops, are designed to attract a young demographic. The exterior façade and colors take their cue from the existing neighborhood. 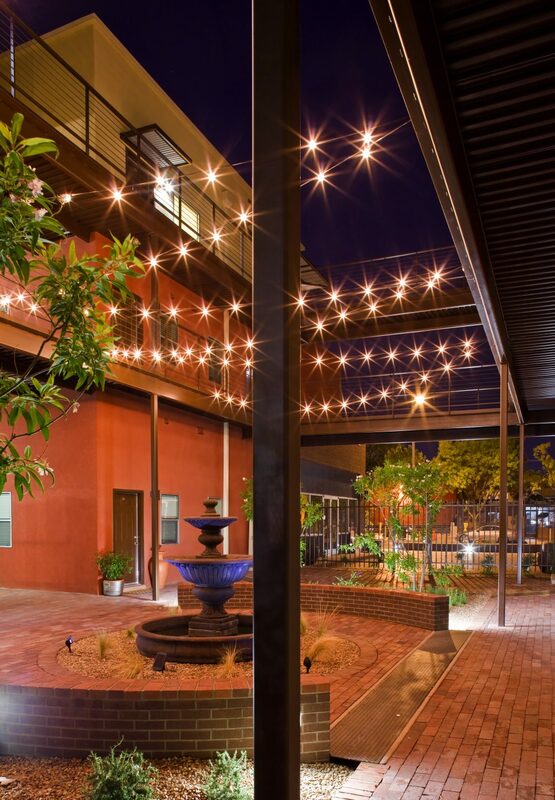 Bricklight Courtyards meld with the existing fabric, yet stand out as new and vibrant.